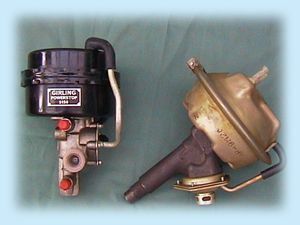 We keep a range of both direct acting and remote servo / booster units, plus a popular range of repair kits for a wide range of classic and vintage vehicles. 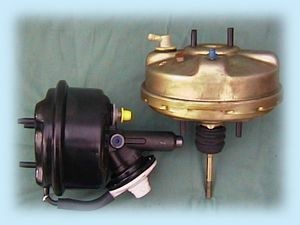 We can also offer a reconditioning service for classic car brake servos and boosters. We stock an extensive range of brake shoes, brake pads, discs and drums for classic cars and vintage vehicles. Most are available for same day despatch. We can also re-line your own brake shoes. The range of brake parts we can supply is too exhaustive to list on our website. At PowerTrack Ltd we hold a large range of flexible brake and clutch hoses for both classic car and commercial vehicles. We can also supply many rigid nylon clutch hoses. The vast majority are available for quick despatch. Contact us with your requirements and we will endeavour to provide you with the parts you need.